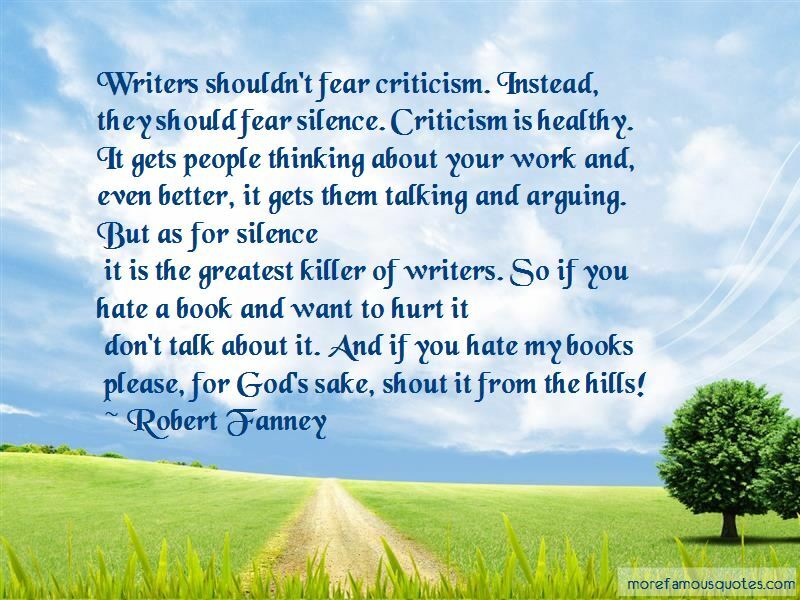 Enjoy the top 38 famous quotes, sayings and quotations by Robert Fanney. “How can I judge?" she said at last. "To me, he is a hero. To the world a monster." She let her head fall into her arms and started crying quietly. "I miss him! Curse him! I miss him!" Mithorden put a hand on her shoulder and let her cry for a few minutes. A sad smile slowly spread across his face. "I'm glad you can forgive him," he said at last. Luthiel lifted her head. "How do you know?" dancing in the hot air. 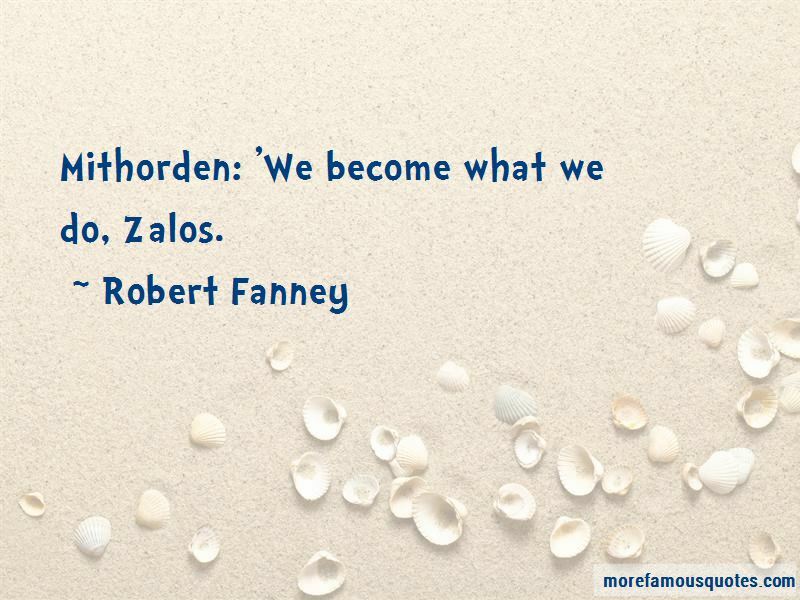 Mithorden: 'We become what we do, Zalos. “Without realizing what she was doing and more on an impulse than anything else, she leaned forward and kissed him. It was a simple, yet firm kiss and she pulled back after only a moment. But it sent a thrill through her. He leaned down for another. But she put her finger on his lips to stop him. "That was my reward to you," she said as they danced. "Don't squander it." "Reward? he asked still seeming both surprised and delighted at this unexpected attention. "What for?" "Why for living, Vaelros. And for doing so much else to help me. I will have you rewarded in state as well. But that was just from me." She saw Vaelros flush and she gave him a brilliant smile. "You don't like my reward?" she asked. "I do!" he replied. "I want only to learn how to earn more." The music was fading. The song was ending. Luthiel stepped back and let her hands drop. Zalos: 'The world is full of massive things in motion. Little creatures get hurt. for he saw the good in them. “Vanye: You're asking me to kill you. 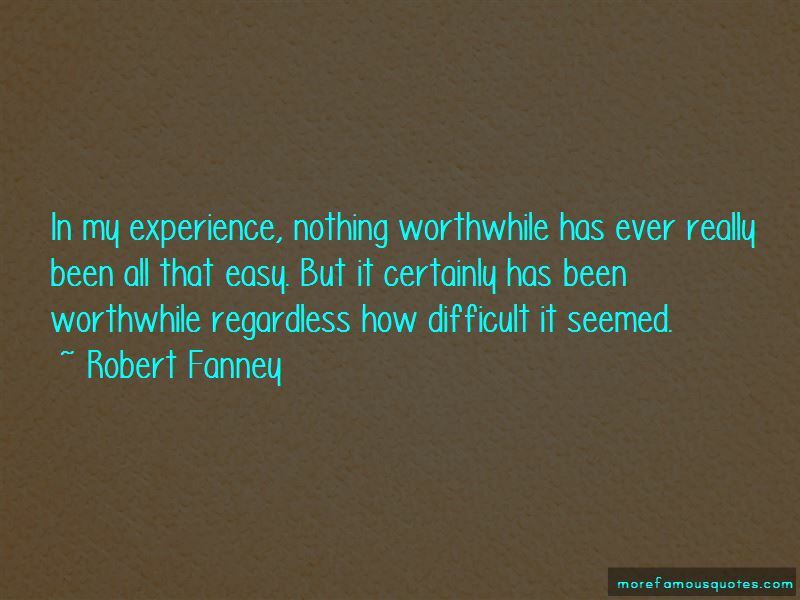 Want to see more pictures of Robert Fanney quotes? 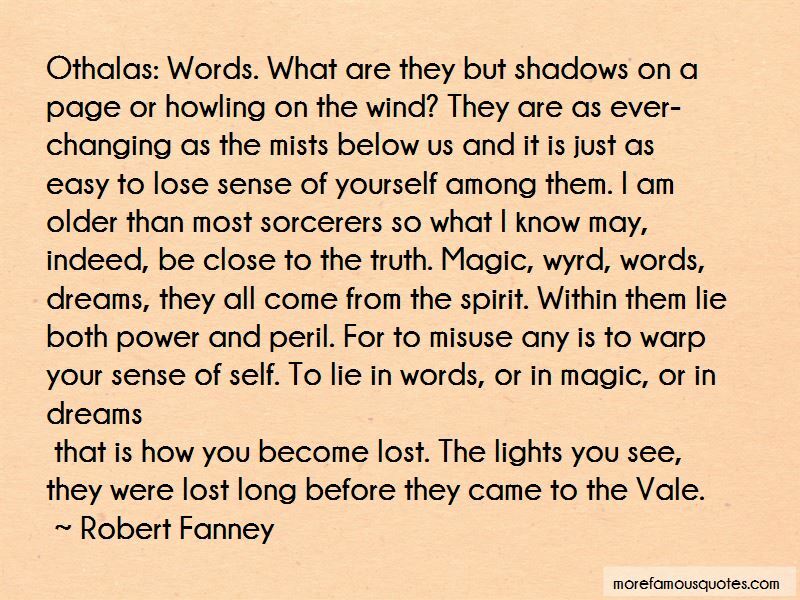 Click on image of Robert Fanney quotes to view full size.